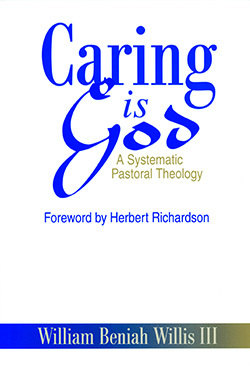 Willis addresses the spectrum of Christian doctrines from the perspective of caring as the fundamental reality of human and divine existence. 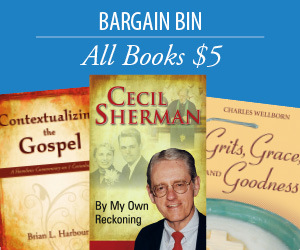 His one-of-a-kind narrative style is a distinctive approach to systematic pastoral theology. William Beniah (Bill) Willis was, at the time of publication, the pastor of Tatnall Square Presbyterian Church and Trinity Presbyterian Church in Macon, Georgia. He is a graduate of Mercer University, Southeastern Baptist Theological Seminary, and Harvard Divinity School. He has been the pastor of churches in Georgia, North Carolina, New Hampshire, Massachusetts, Michigan, and Florida, and a counselor/director in substance abuse programs. Actively involved in various social and political causes such as fair housing, drug prevention, alcohol rehabilitation, and emergency aid during the unrest of the 1960s, he was on the staffs of both Martin Luther King, Jr., and Robert F. Kennedy.